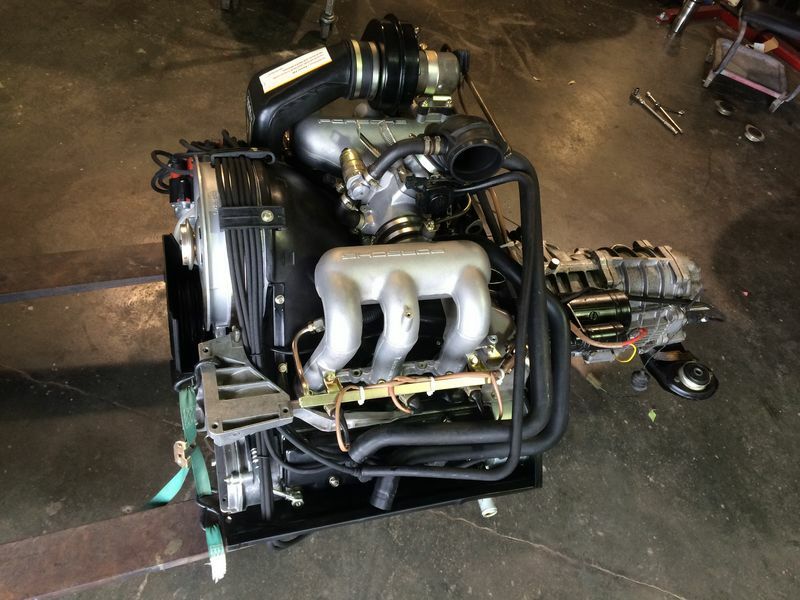 Tried and true mechanical modifications predictably boost performance of this 1985 3.2L engine. Then new engine management programming adds a special twist: more torque. 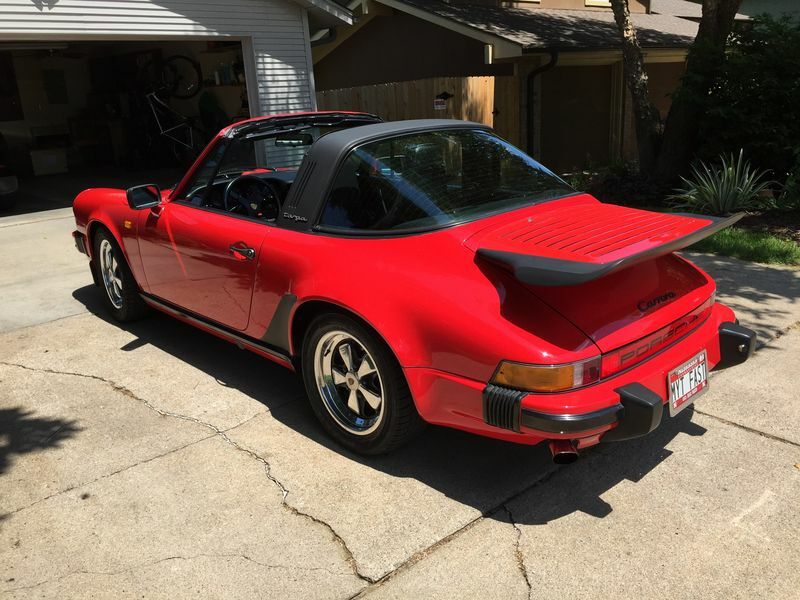 This 1985 European edition Porsche 911 came to us with smoky exhaust. Replacing worn valve guides, which were causing the smoking, is a straightforward repair but requires taking everything apart. As long as it has to come apart, thought the owner, we should make it better. We agreed. Our modifications gave the engine more horsepower and torque. With its wide cylinders and single spark plug, complete ignition can be slow. The full power of each stroke cannot be fully optimized. To overcome this problem, the racing version of this engine utilizes two spark plugs for each cylinder. With two sparks, the fuel ignites more quickly, timing can be more finely adjusted, and more power comes from the engine. We machined into the heads a second spark plug hole for each cylinder and added a twin distributor designed for the Porsche 964. 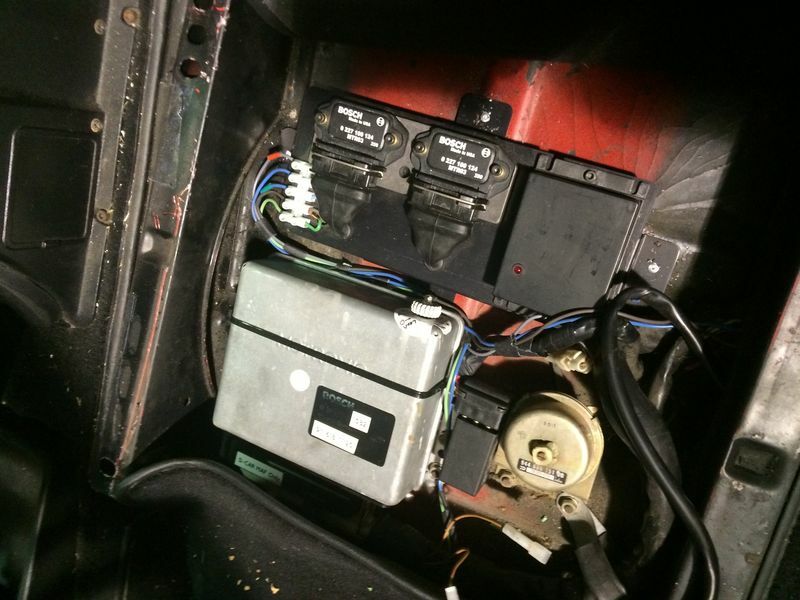 An electronic splitter from Andial Racing enables the car's DME to signal two ignition coils at once. Block and head. Heads were reconditioned by Competition Engineering and secured to the block with ARP head studs. ARP rod bolts installed. Fuel injection. We installed an enlarged throttle body modified by Steve Wong and matched that to larger injectors and a custom MAF from Sal Carceller. Air intake. The 3.2 intake manifold was extrude honed. Camshafts. Model DC 21 camshaft from Dougherty Racing Cams. Valve train. Reground the valves to competition specs and upgraded the valve seats. High-performance springs with titanium retainers were installed. Pistons and cylinders. Replaced the 95mm cylinders with 98mm size Mahle cylinders. JE Pistons supplied the new 10.5 to 1 pistons optimized for twin spark plugging. We used piston rings from Total Seal. Total displacement is now 3.4L. Exhaust. B&B 1 3/4" headers and dual-inlet/dual-outlet mufflers. Power transfer. Lightweight flywheel and upgraded pressure plate. The DME is the computer module which controls the engine's spark and fuel injection timing. To get the biggest possible performance improvement from all of these mods, the DME had to be reprogrammed. Sal Carceller used his expertise to create DME chip programs. We gave him the mechanical specification of the engine, and he sent us a chip with altered ignition maps to accommodate the twin plug system, altered fuel curves, upgraded camshaft, and other mechanical changes. After some revisions, we got a program that really tapped into the engine's increased potential. We were pleased with the results. The engine runs smoothly over its RPM range without the lumpy feel racing cams sometimes create. The owner commented that it feels like a motorcycle in the way it accelerates. The dynograph shows where this engine stands out among similarly modified 3.2L engines. Torque is above 200 ft/lbs. 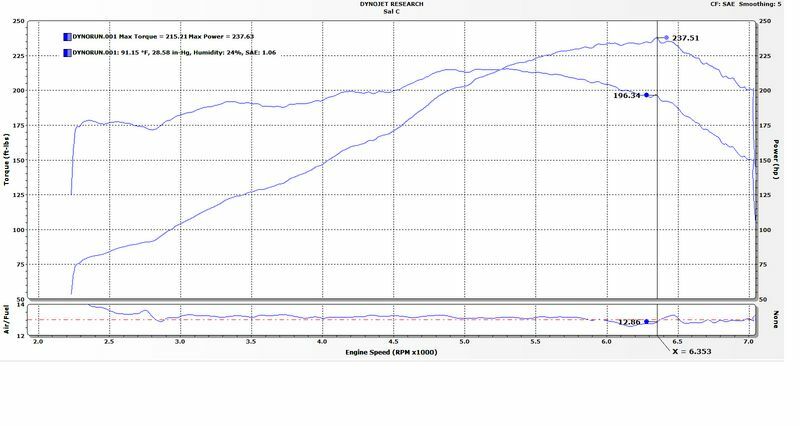 from below 4500 to above 6000 RPM, with a nice broad torque curve. Peak horsepower is 237.5 at the wheels; with a .85 correction factor, that indicates 279.5 flywheel horsepower. For a street machine, it's great to have power on that low end and not be knocked off balance whenever the engine revs to 6000 RPM.